In view of the possibilities for the exact dating of wooden architectural elements by dendrochronology, the sites have provided exceptional archaeological sources that allow an understanding of entire prehistoric villages and their detailed construction techniques and spatial development over very long time periods. They also reveal details of trade routes for flint, shells, gold, amber, and pottery across the Alps and within the plains, transport evidence from dugout canoes and wooden wheels, some complete with axles for two-wheeled carts dating from around 3,400BC, some of the earliest preserved in the world, and the oldest textiles in Europe dating to 3,000 BC. This cumulative evidence has provided a unique insight into the domestic lives and settlements of some thirty different cultural groups in the Alpine lacustrine landscape that allowed the pile dwellings to flourish. This is a massive, serial world heritage site with 111 locations scattered across six different countries. The site I visited was the Federsee location in the town of Bad Buchau. As with all archeology sites, you have to temper your expectations for what you are going to see. This world heritage site is devoted to bronze age people around the Alps. Needless to say, there isn’t a whole lot remaining from their time. Almost everything made out of organic matter (cloth and wood for example) have long since disappeared. The Federsee museum has a surprisingly good collection of artifacts found from the area, including pottery and metal items. Because the Federsee was a bog, many things which fell into the waters were preserved by the lack of oxygen. 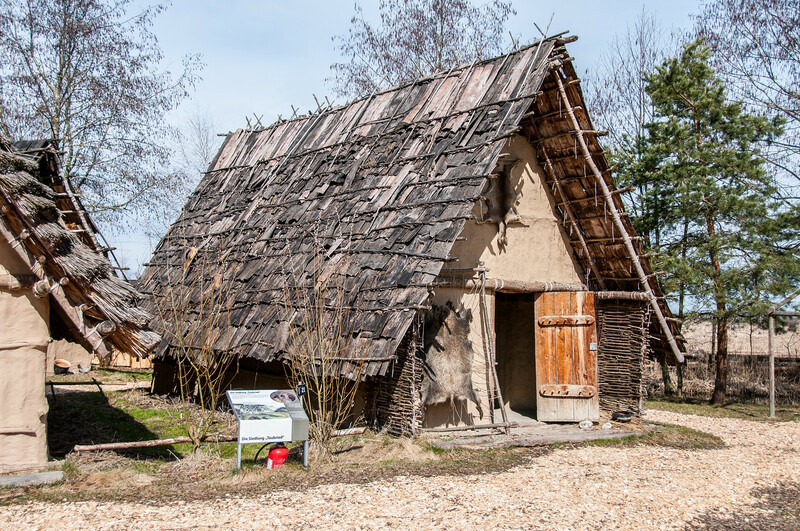 In addition to the museum, there is also a small reconstructed village which gives you an idea of what life was like there 5,000 years ago. The Federsee Museum in Bad Buchau is one of the better locations to visit this site just because there is a museum and interpretative center available. From the reports I’ve read from other travelers, some of the other locations consist of nothing more than a sign with little or nothing available to see. 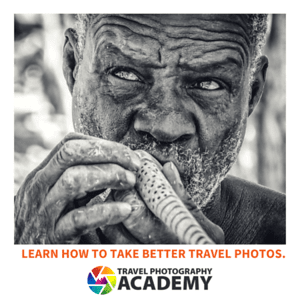 As I travel through other countries in the region, I’m going to keep my eyes open to visit more of the locations listed under this world heritage site. These sites are recognized as a whole as the Prehistoric Pile dwellings around the Alps and were added by UNESCO in 2011. Most of these houses are located near bodies of water such as rivers, lakes, and wetlands. This site was the first UNESCO site for Slovenia. 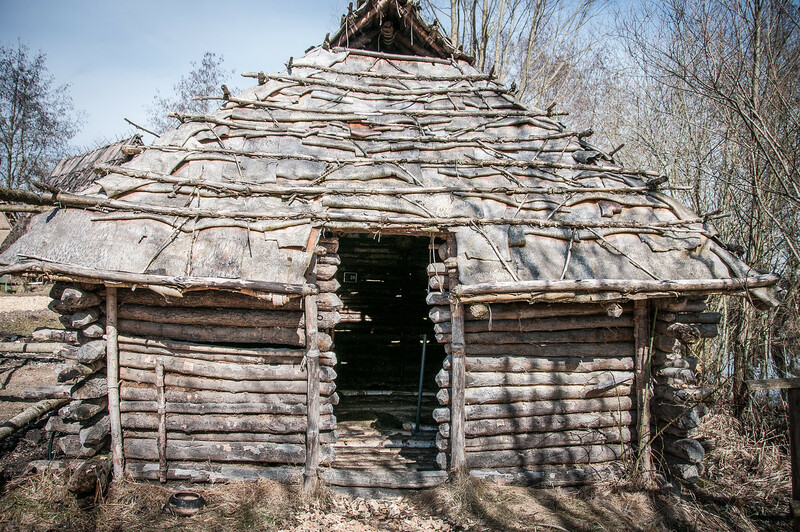 The Prehistoric Pile dwellings around the Alps that are spread throughout 6 countries in Europe depict the early agrarian communities in Europe. Hence, it was considered culturally significant by UNESCO. Aside from the ability to provide a glimpse into the way of life during this time period, the excellent state of preservation for these settlements also reflect the resilience of the method of building for these houses. There were also several organic remains found at the site and near these houses such as wood, bonese, plant remains and textiles. Not all of these sites were subject to archaeological excavations. However, for those sites that were excavated, the researchers and archaeologists have been able to gather important evidence that would provide insight into the way of life during the prehistoric times. Specifically, the archaeologists are looking at the Bronze and Neolithic Age based on the evidence gathered at the Prehistoric Pile dwellings around the Alps. Aside from the way of survival and how the houses were built, the evidence of the remains at the site showcases how the people that lived in this area interacted with their environment. Despite previous claims, the Prehistoric Pile dwellings around the Alps were not built on water. However, they were built near bodies of water such as along the banks of rivers or lakes. The unique feature about these houses is that they were set on pile. 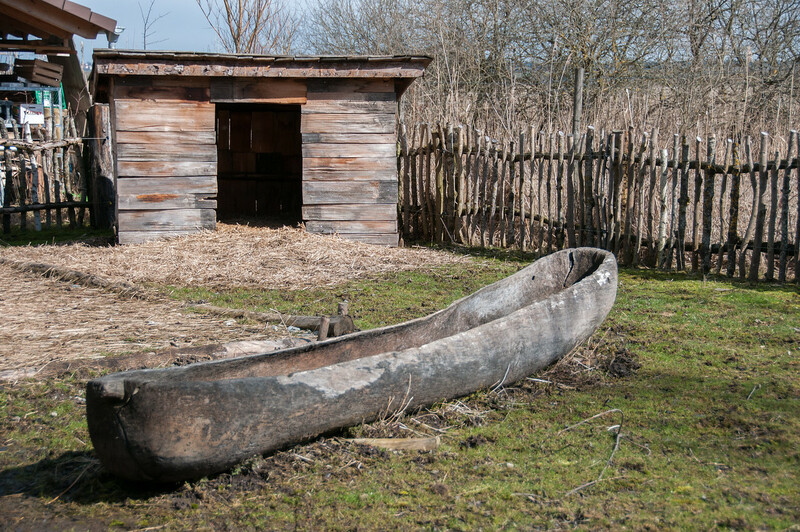 This was an ancient method used for constructing homes to protect from occasional flooding. As the lakes grew over time, many of these piles have been underwater. 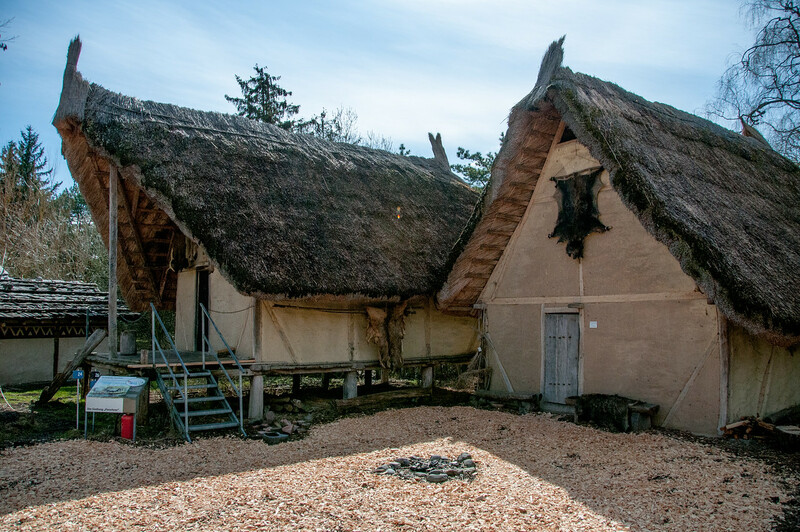 Hence, visitors to the sites now wrongly assume that this is how the houses have been since the prehistoric times. The rising water level is also part of the reason why these settlements were abandoned. According to archaeologists, there were about 30 cultural groups that lived in these settlements and formed these pile dwellings. Visiting the Prehistoric Pile dwellings around the Alps is difficult. Most of the sites are now buried under water or covered by layers of sediments on dry land. However, there are various exhibits and archaeological parks set up near any of the 111 sites to showcase the history and development of these prehistoric settlements. 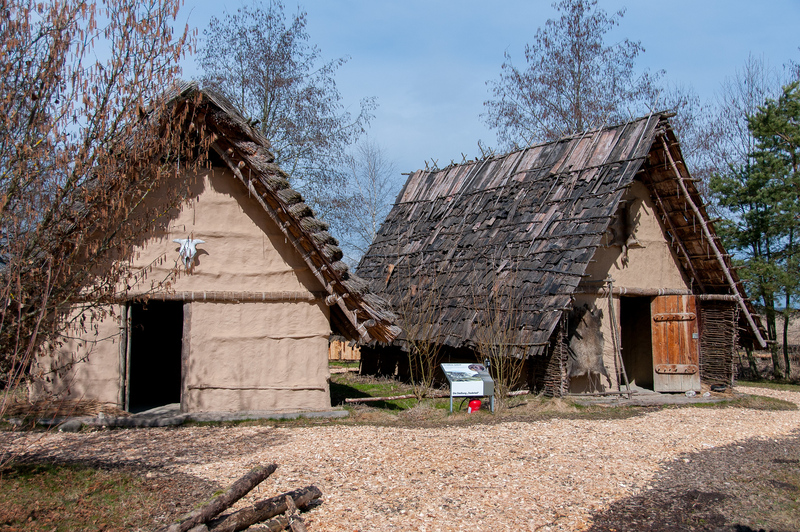 At the same time, some sites provide reconstructions of these settlements to convey the unique way of life during that time period. View the complete list of UNESCO World Heritage Sites in Germany. Question: is that a preserved house? Or did they set it up to look a certain way (Maybe I missed it in your post). It just seems so immaculate.